We are currently developping scientific expeditions and nature conservation projects in some stunning mountain ranges in the middle of the Indonesia : the Konawe karsts. These karsts (limestone formations) are places of incredible biological richness and indescribable beauty, but they urgently need protection. They are at risk of disappearing under the growing impact of not only palm oil plantations, but also forestry, mining, and plastic pollution. The dense forests covering the Matarombeo karst. North Konawe, Sulawesi, Indonesia. Following a 2012 scouting trip to the island of Sulawesi, in 2014 Evrard Wendenbaum led the first scientific expedition into the foothills of the totally unexplored Matarombeo massif . 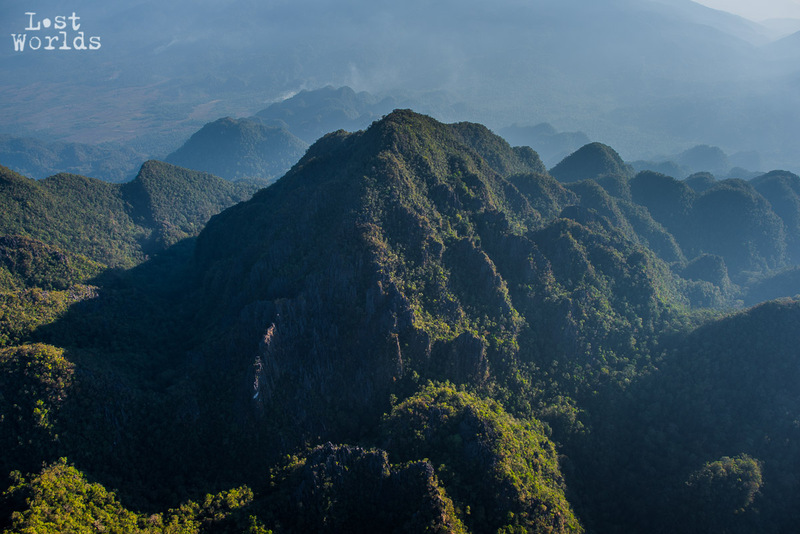 We are currently undertaking preparations for a new, large-scale expedition into the heart of this massif, as well as setting up the first conservation activities (in French) for the Konawe karsts, which include the Matarombeo massif and the stunning Matarape bay.